We got our start with goats in 2005 raising a few Boer goats for a few years and although we considered keeping a couple of our favorite does for raising 4H kids and some meat production, we decided to focus is on dairy goats, mainly Nigerian Dwarf goats for several reasons, their small size for ease of handling being the biggest factor. Their milk quality is another as the Nigerian Dwarf has the highest butterfat content of all dairy goats, it's very sweet-tasting, makes fantastic cheese and butter, and makes anything you cook with it just a little richer! 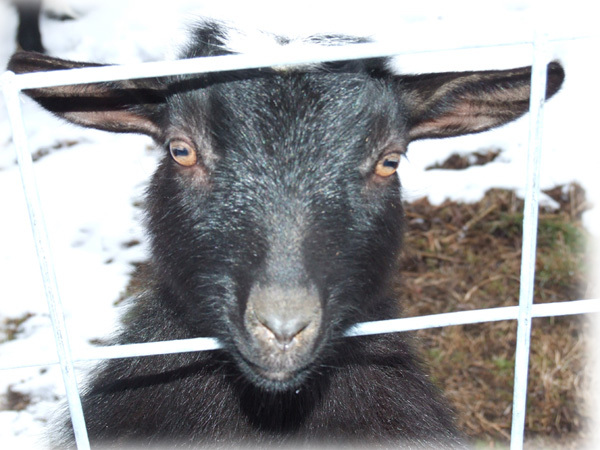 We really love the Nigerian Dwarf goat as a breed, they are so affectionate and very amusing little creatures!! To know a goat, is to love a goat!................Just ask Sweetie! Feel free to drop us an email! In memory of "Wellwood Farms Sweet Kisses".